This is one of our most popular save the dates. 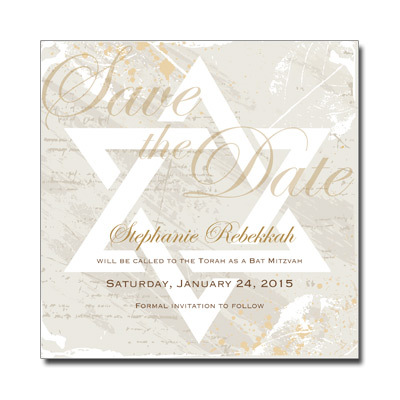 Extraordinarily beautiful, Personalize with your child's name and ceremony information. Additional postage required. Invitation card measures 5.875in. square and comes assembled with metallic gold backing.